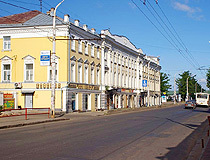 The capital city of Kostroma oblast. Kostroma is a city in Russia, the capital of the Kostroma region, standing on both banks of the Volga River. 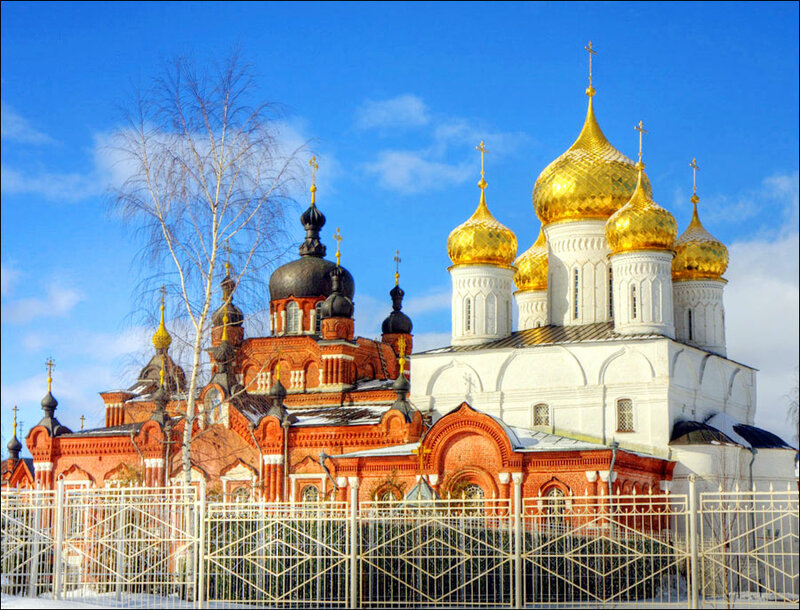 The city is located about 346 km northeast of Moscow, 65 km from Yaroslavl, and 105 km from Ivanovo. 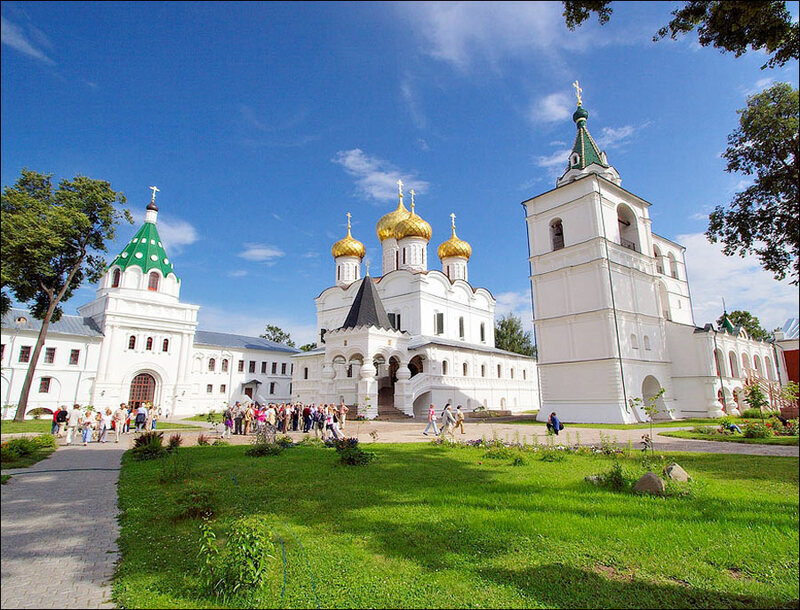 Kostroma is one of the cities of the well-known tourist route “The Golden Ring of Russia”. The population of Kostroma is about 276,000 (2015), the area - 145 sq. km. The phone code - +7 4942, the postal codes - 156000-156530. Local time in Kostroma city is April 18, 5:19 pm (+3 UTC). 17 August, 2018 / Walking through the historical center of Kostroma. 3 July, 2018 / Ipatiev Monastery in Kostroma. 1 August, 2016 / The Wooden Palace in Astashovo. 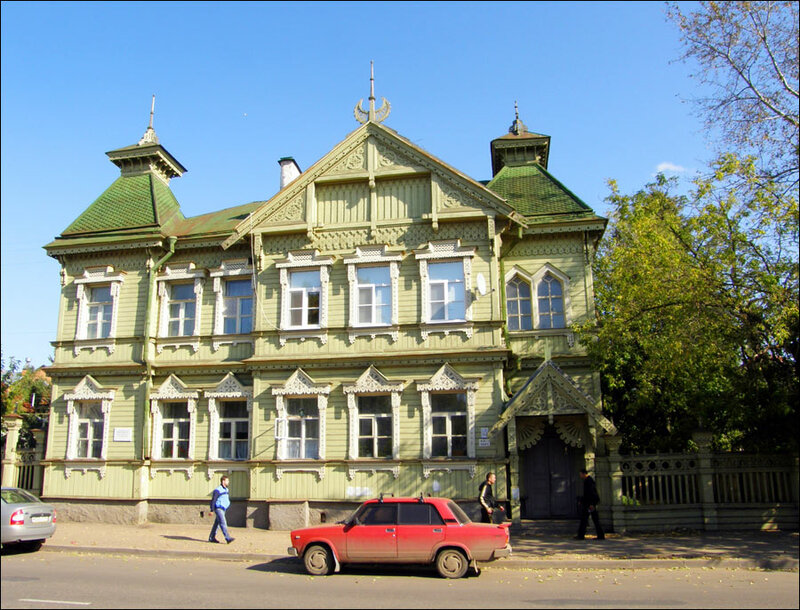 30 April, 2016 / The Museum of Wooden Architecture "Kostroma Sloboda". 2 March, 2015 / Polyashov's wooden house in Pogorelovo village. Kostroma was first mentioned in chronicles in 1213. 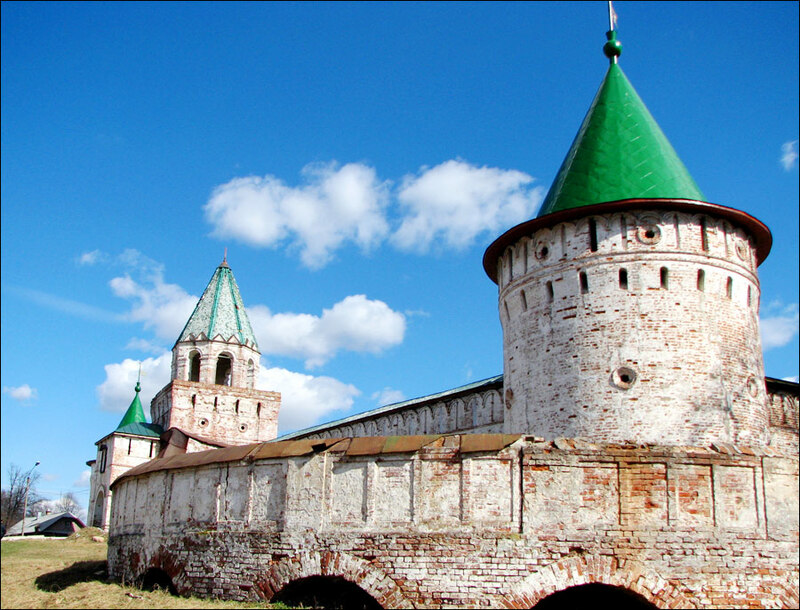 The official foundation date is believed to be 1152, Yury Dolgoruky was the founder of the town. In 1238, it was captured and sacked by Mongol army. 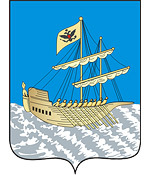 Later, Kostroma was bought by the Moscow State Tsar Ivan I. Because of its location, Kostroma was the place of the Moscow State’s leaders retreat during sieges of Moscow in 1382, 1408, and 1433. The town was growing quickly in the 16th century. 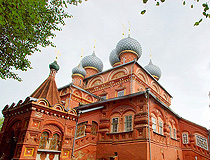 One of the possible reasons was the creation of the Moscow Company, that was trading with Dutch and English merchants through Archangel town port, located on the north of the Moscow State. Kostroma was captured by Polish armies two times. Ivan Susanin became one of the most known Russian heroes of these wars with Poles. 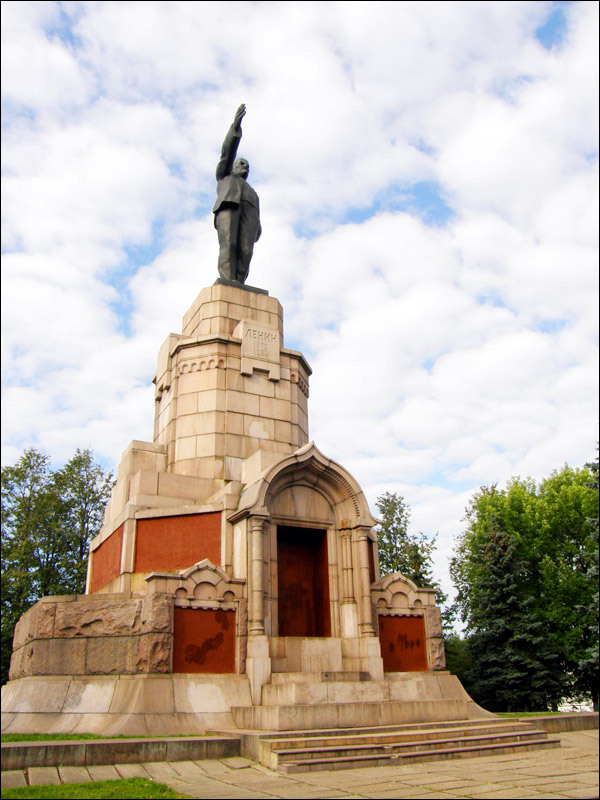 There are several monuments dedicated to him in Kostroma. 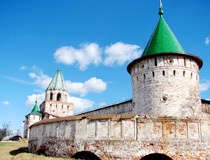 In 1612, Kostroma was the place where the Moscow delegation offered Mikhail Romanov the Russian crown. It was the end of the Russian “Time of Troubles” and the beginning of Romanov’s dynasty reigning on the throne of Russia. The town was heavily damaged by fire in 1773. After it, Kostroma was completely rebuilt. All streets were radiating from a single point located near the river. 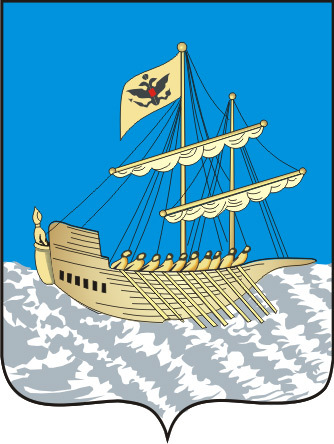 In December 1796, by the decree of Emperor Paul I, the town became the center of Kostroma province. In 1870, the first water supply system was built. In 1891, a museum of antiquities was opened. In 1894, there were 36 churches in Kostroma. 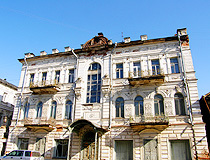 In 1895, the first five-storey building was constructed (a dormitory for workers and employees of Kostroma flax factory). The beginning of the 20th century was marked by the revival of social and economic activity in the city. January 14, 1929, Kostroma province was abolished by decision of the Central Executive Committee of the USSR. 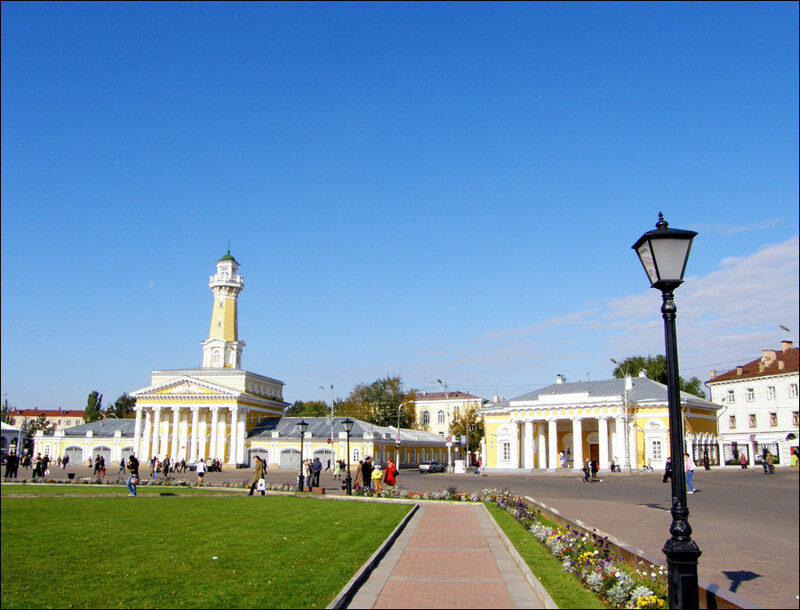 Kostroma lost the status of a regional capital and was included in the Ivanovo region, and, later, in the Yaroslavl region. In 1932, construction of the railway bridge across the Volga River was completed. By the end of the 1930s, the population almost doubled, because of the influx of labor from villages. In 1932, a textile institute was opened. During the Second World War, hospitals, military schools and civilian population were evacuated to Kostroma. 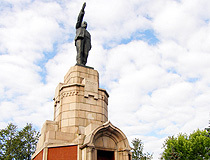 August 13, 1944, the city became the administrative center of the newly formed Kostroma region. In 1950-1980s, in addition to textile and wood industries, new promising industries were developed: energy, engineering and metalworking, electronics and instrumentation. 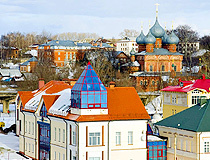 Kostroma celebrated its 860th anniversary in 2012. Kostroma City Day is celebrated on the second Saturday of August. The climate is temperate continental. The average temperature in January is minus 9.4 degrees Celsius, in July - plus 18.7 degrees Celsius. Today, tourism is seen as a major area of economic development of the city. 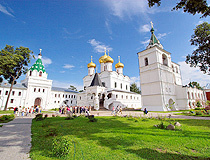 Kostroma is traditionally included in the tourist route “The Golden Ring of Russia” and cruises on the Volga River. 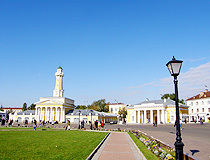 The number of tourists and sightseers annually visiting Kostroma is about 400 thousand people. Most tourists visit the city as part of one-day excursions. As of early 2014, tourist accommodation is provided by at least 20 hotels, mini-hotels, guesthouses, youth hostels. Most of the hotels belong to the low-budget and the middle class (2-3 stars). 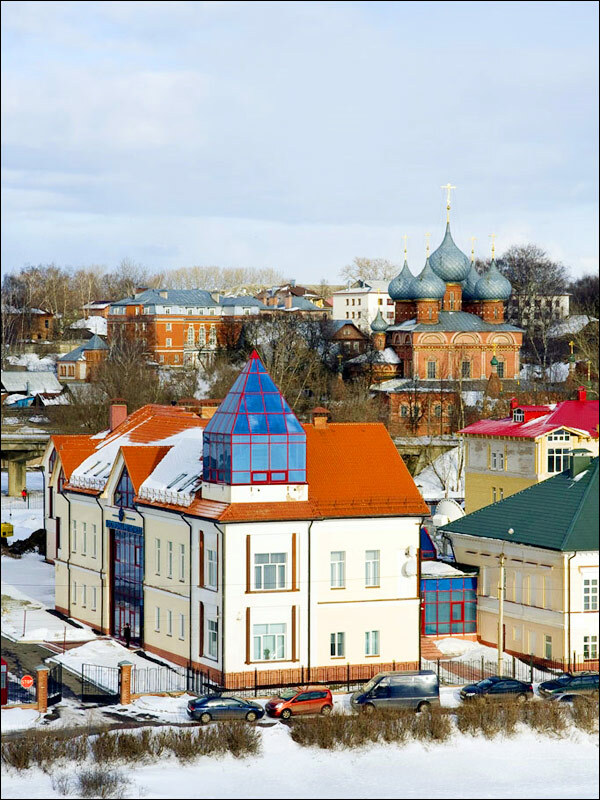 In the past, Kostroma was traditionally a textile town. Today, it is a modern industrial center. Machine building and metal-working, electronics and tool-building, furniture and light industries, power engineering, wood-processing, forest, jewelry industries - these are the branches characterizing the new industrial outlook of Kostroma. Kostroma is a major transportation hub. It is crossed by a highway of federal importance Moscow-Yaroslavl-Kirov-Perm-Ekaterinburg. The city has a river port and an airport. Kostroma is an original and unique monument of Russian urban development of the 16th-19th centuries, with valuable monuments of architecture and history. 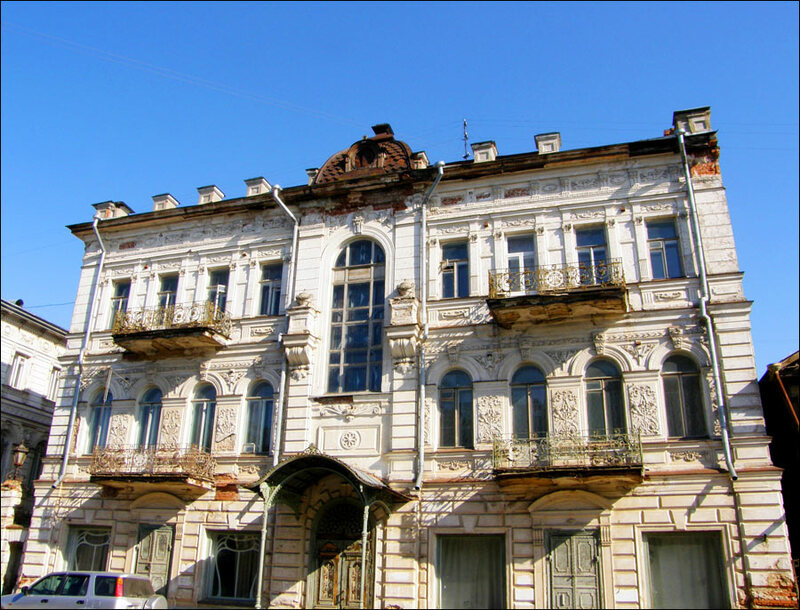 This is one of the Russian cities that has preserved, in general, its unique and distinctive architectural appearance. The general plan of it was affirmed by Empress Catherine II in 1781. 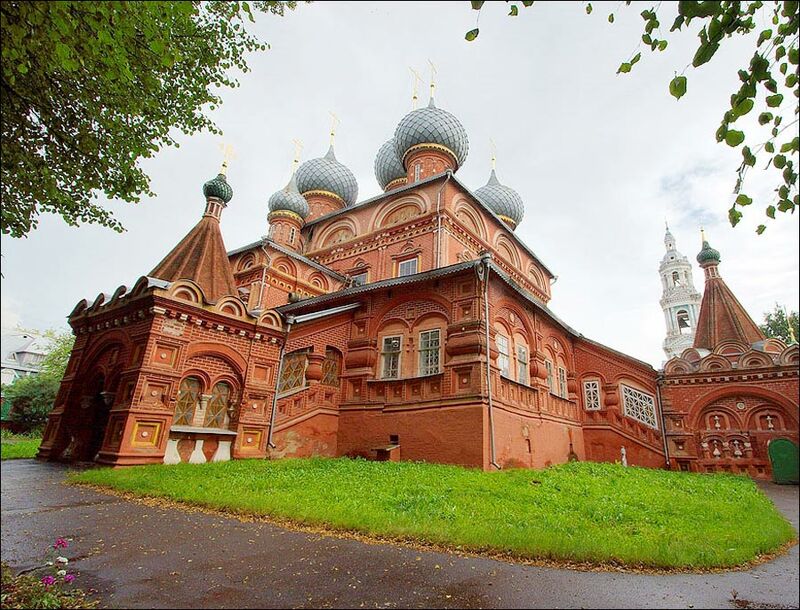 The architectural heritage of Kostroma is very varied: the monuments of ancient Russian architecture (mostly religious buildings); folk wooden architecture; monuments of Baroque and Classicism. 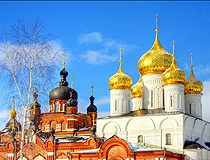 A large group of monuments is the so-called “Russian” style of architecture of the late 19th - early 20th centuries. 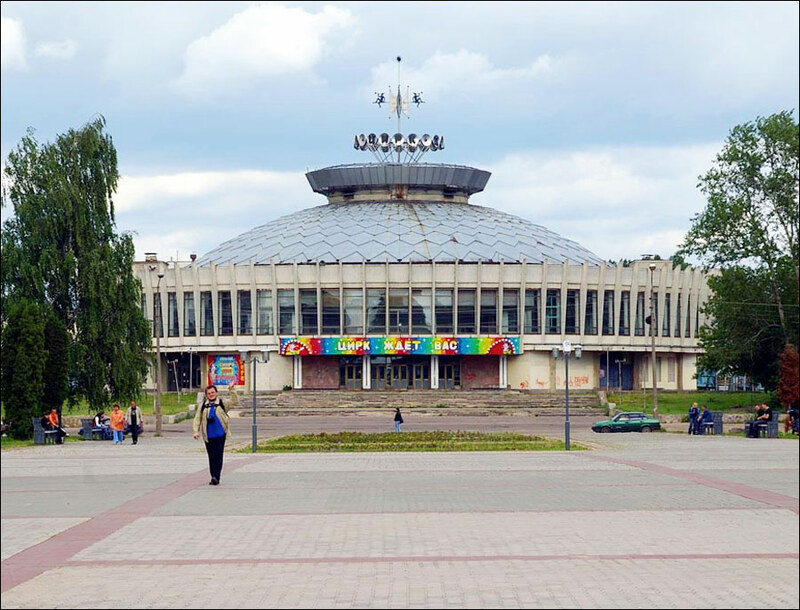 The architecture of the Soviet period is presented by separate buildings in the style of constructivism, neo-classicism of the 1950s. Among the monuments of architecture are a number of major historical and architectural complexes, monasteries, churches, chapels, monuments of civil and industrial architecture, landscape art, monuments of residential architecture. 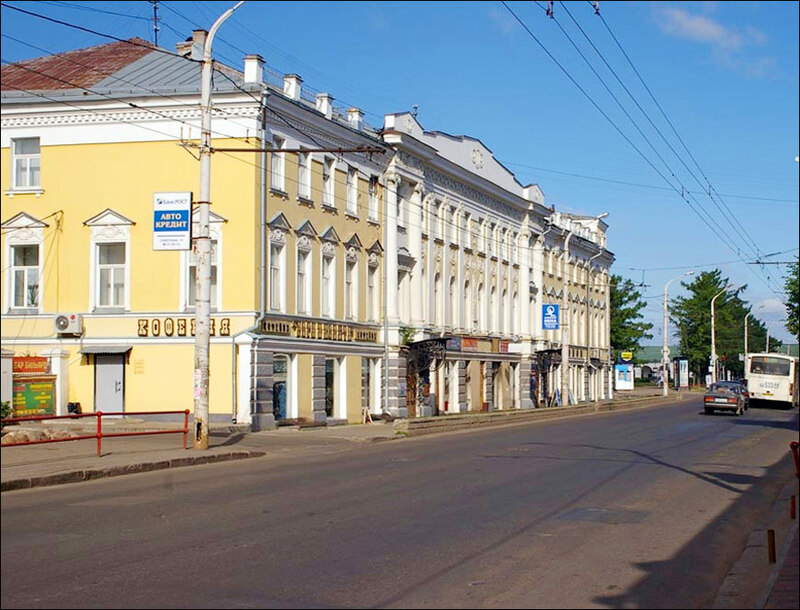 The central part of Kostroma is an architectural ensemble of the late 18th-19th centuries. Monuments of provincial classicism are the main pride of the city. All in all, there are more than 500 monuments of history and culture in Kostroma, including 60 monuments of federal importance. 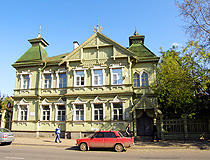 Museum of Handicrafts (Yerokhov Street, 4). 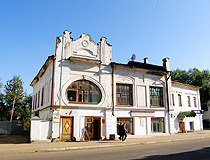 State Philharmonic of the Kostroma region (Sovetskaya Street, 58). 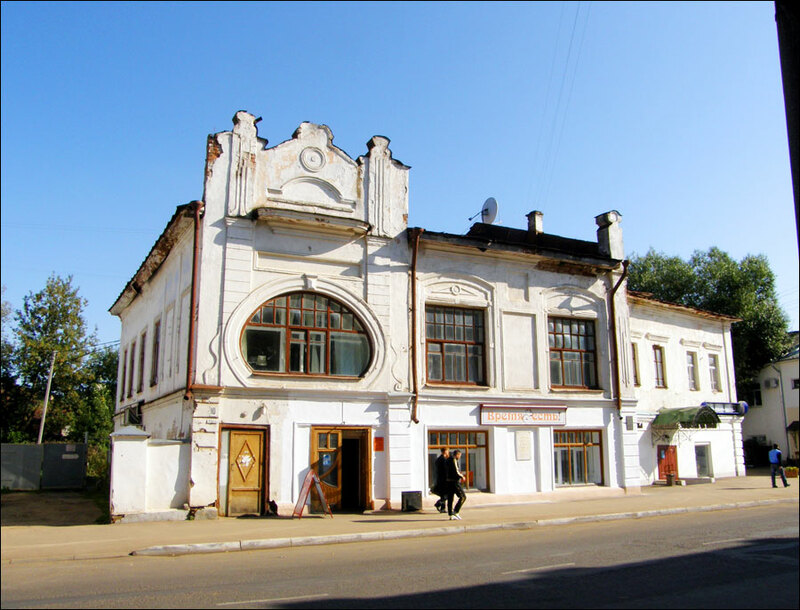 Kostroma has three modern movie theaters: “Volga” (2 halls), “Five Stars” (6 halls), “Cinema Star” (4 halls). Resurrection Church on the Debra, a masterpiece of the 17th century architecture, it is a pearl of the Upper Volga region. Also, some buildings of civil architecture of the 20th century are worth seeing, like Communications House (1934) and The Exhibition of Economic Achievements. Among the environmental places of interest is a unique elk-farm. Thank you for the history and pictures. I visited there in 2004 so enjoyed seeing some of the places on your site, thanks again.